Brian Michael Bendis discusses Superman, "fake news," bringing something new to the DCU, and more – AiPT! 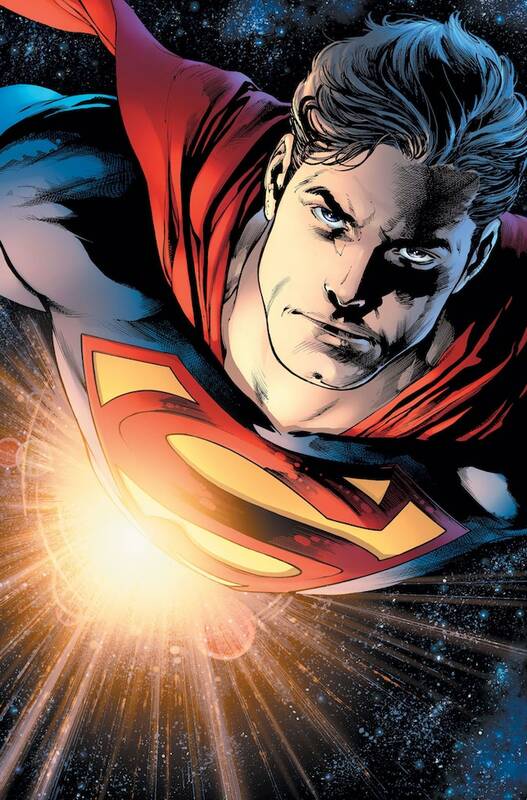 Brian Michael Bendis talks writing ‘Superman’, ‘Action Comics’ and more! Brian Michael Bendis is taking Superman to new heights. 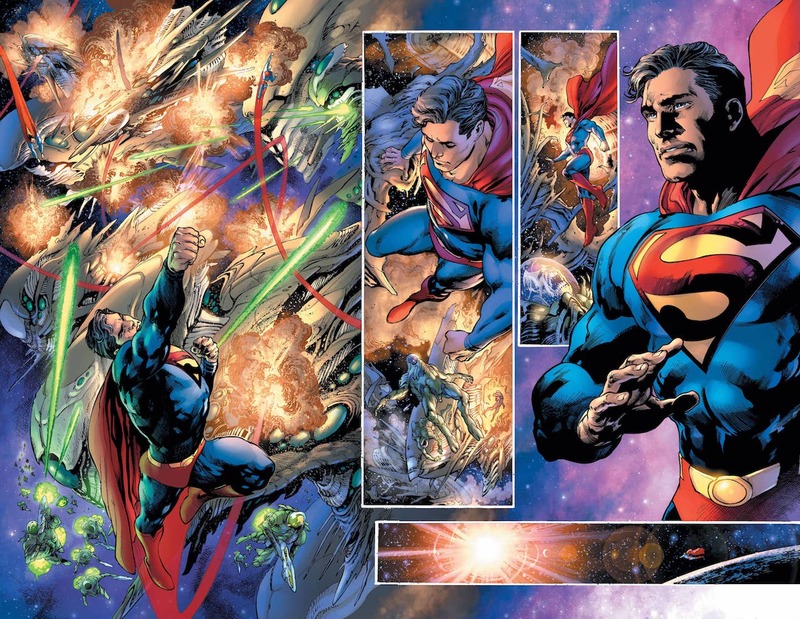 Over the last six weeks, Bendis has shown us how his Superman is a bit different with the Man of Steel series and even introduced a new villain while he was at it. I was lucky enough to talk Superman shop with Bendis yesterday and we covered a lot of ground, from who Superman is to him to the advantage of writing two flagship books at once, tackling “fake news” at the Daily Planet, and more! AiPT! : Who is Superman to you? 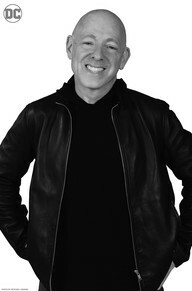 Brian Michael Bendis: You know what, he’s a dude and that’s the thing. People get stuck in the ideal or the icon and I’m much more interested in Clark and Kal. This is a man who, most of the big choices in his life were made for him. You know, a lot of adopted people, they have to wrap their heads around how big choices were made for them. Then you have someone looks you in the eye and says, “You have to be the best person.” Just be the best person all day. That’s an enormous responsibility. And I like writing about responsibility. AiPT! : With Superman #1 there’s a bit of a summary page to open the book. It sort of catches us up and I’m curious, will that continue with every issue? BMB: We’re going to do them when we need them and I know people say, “DC didn’t do a recap,” but they’ve done them in the past. I brought it with me as a tool. It’s one of the reasons why my writing is so freed up from exposition from clunky, “Hey Batman aren’t you a member of the Justice League?” kind of writing. The recap page lets you quickly and stylishly get a couple big things across and then you get your story. And the page doesn’t come out of the page count too. AiPT! : They’re not skimping us one page. BMB: That’s a big deal for me. All the issues of Man of Steel have been over 22 pages. The last one was 29. AiPT! : Is there an advantage to writing two flagship books focused on a single character? BMB: Absolutely. 100%. I had the same thing on Avengers and there is so much going on with a character like Superman that it almost begs for it. If I only had one book I don’t even know what I would do with all the stories I want to tell. Also there is a duality to Superman–like a lot of characters–but there’s a deeper duality there that a lot of people wrap their heads around. One book is going to be about Superman and the things Superman has to do. And then there’s one book about what Clark has to do. Superman chose to be Clark. Going back to what I said before, all this has happened to him. But the choice he made for himself is to be Clark and to be a journalist. He chose it because I think it’s a way to get the truth that Superman can’t always get to. You can’t always punch your way to truth or X-Ray vision yourself to the truth. Even if you can see the truth it doesn’t mean that Superman is going to have the ability to reveal the truth. Whereas Clark can set himself up where he will always have a way to reveal real truth to people who want it. That alone deserves a few books. AiPT! : Does that mean one book might focus more on the Daily Planet than the other? 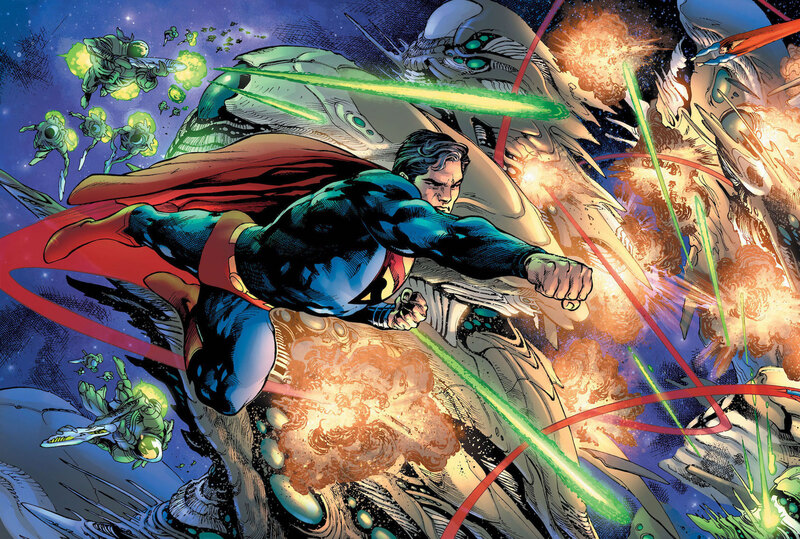 BMB: Action Comics in general will focus more on Metropolis and Earth and stories that come out of the Daily Planet. Stories that Lois and Clark will be chasing will come out of there. The home base will be the Daily Planet even though you may not get to it for a whole issue. The stories in Superman, you can already tell, revolves around some big epic things that have happened. The truth about Krypton and what happened to it and a big reveal of a cover-up. As we know in the real world the cover-up is always worse than the crime. The cover-up and its reveal will bring about something in the DC universe that hasn’t been there before. That story is going to take up a whole year. All these kind of cool guests start to show up. AiPT! : Are there any disadvantages to writing two flagship books about a single character? BMB: I know I will always agree with, if someone was like, “I would like another voice on another book”, sure! I would love if this writer or that writer was writing Superman. Any creator who wants to do Superman has another way to do it too. In the meantime, during my time you get me. AiPT! : You’re taking that from us, Brian! BMB: But you know what I’ve only been here like a month and a half. Give me a break. AiPT! : Are they going to be crossing over with each other? Or are they singular stories? BMB: There will be an opportunity for that, not in the very first few issues, but absolutely. AiPT! : If you were to boil Superman the series down to one word and Action Comics down in one word just to define those series what would those words be? BMB: I’ve already done it. I really have it on my thing. Superman is epic and Action Comics is mystery. AiPT! : When you start writing a new character, which I think is sort of new for you since you’ve been writing so many Marvel characters for so long, did you plot further into the future? Or maybe less so when you’re starting with this Superman character? BMB: I plot their character arc. I’ve been very interested in where the character is going for some time. With all superheroes but at DC it would be icon first, right. And I think what’s needed of me and where my heart lies is really looking at Clark and feeling when he’s hurt. And laugh when he tells a joke to really get into his skin. That’s what I’ve been doing my long-term planning for. Also because it’s a shared universe. I learned at Marvel — there was one time at Marvel where I was so ahead on Avengers, I was like a year ahead and for a shared continuity that’s almost annoying. Perfect example, what if Ed Brubaker goes, “I’m going to kill Captain America.” Oh, I wish I had known that six months ago. You don’t want to write too far ahead because it’s going to be a waste of time. It’s an organism that you’re contributing to. You can’t go too far ahead. But I love that question. I think about it all the time. AiPT! : It’s interesting because you’re thinking about character traits rather than necessarily like a plot twist or someone dying or something like that. BMB: A plot twist is only as good as what the character gets out of it. Whether positive or negative things happen. The plot should affect the character. If it doesn’t you have to take a step back. AiPT! : Will you explore at all the “fake news media” and how they’re attacked in any way like that? BMB: Well yeah believe it or not this has been going on for decades. They call it fake news but the silo-ing of the way people get their information has been going on for a long time. This is the brutal result of it. It doesn’t happen overnight. We live in a world where you tell someone the truth and they go, “Well that’s not true.” That’s fascinating. If your goal in life is to tell the truth, and someone just rejects it. Well, that’s new! AiPT! : Truth is like an opinion now. BMB: Yeah it’s fascinating. If your tagline is, “truth, justice and the American way” and all three things are not to be taken for granted anymore, then I’m writing Superman at possibly the most interesting time you could possibly ever have written the character. Absolutely how I feel. AiPT! : One last question. What is your favorite method of procrastination? BMB: For those of you who are really trying to make your own comics, and, listen staying up all night making your comic wondering if anyone is going to care, yes it is a huge struggle, but at the end of it there may be a day where you’re sitting on your porch reading pages of Superboy. Come back in two weeks for more thoughts from Bendis on Action Comics #1001!